Two weekends ago we headed up to Woodstock, VT for a little getaway/anniversary celebration. Since the goal of the weekend was to relax and slow down for a bit, I tried to calm my type-A desire to plan everything down to the minute and simply made a list of some things I thought would be fun to hit while we were there. The only thing I did book (barely enough) in advance was our dinner reservation Friday night at The Prince & The Pauper. Other than that, we we simply decided what to do over fresh coffee and homemade breakfast at our B&B. Definitely not a bad way to start the day! Our intention was to go up during a peak foliage weekend and do some leaf-peeping. Unfortunately, the summer heat lingered a little too long and the leaves weren't quite peak, although they were close! So, we decided to take a little road trip on Sunday up to Killington via Route 100, hoping the leaves would be more colorful at the higher elevation - they didn't disappoint! 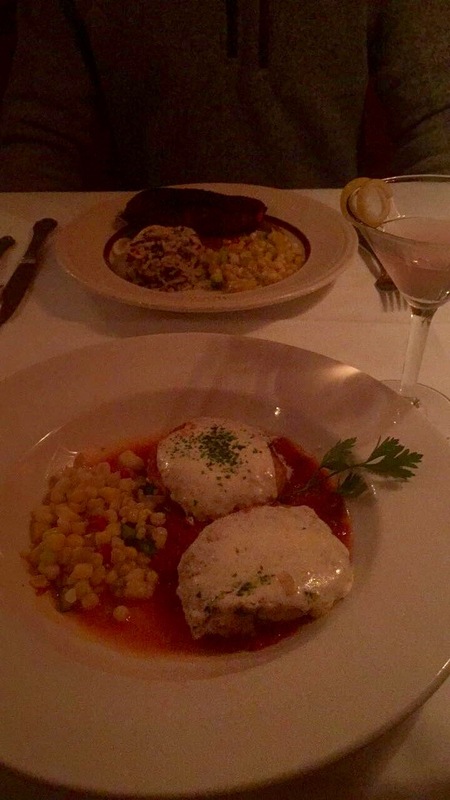 For Friday, our anniversary, I wanted to find a nice, but not obscene (read: yopros) place for a celebratory dinner. I came across the highly-rated The Prince & The Pauper and knew it was my first choice. I requested a reservation the Monday before and learned that the only availability was 5:30pm, which was a no-go. BUT! I put myself on the waiting list and the next day a slot at 8:00pm opened up, which was perfect. So, learn from my mistake and make your reservations much earlier!! The dinner itself was delicious and the restaurant was very quaint, albeit we may have been the only people under 30 there...whoops. For lunch both days we knew we wanted something relatively cheap and quick. Our innkeepers recommended The Village Butcher, a counter-serve deli that fit our needs perfectly, with plenty of sandwiches, and my fave - chicken salad. We grabbed our food to-go and enjoyed it at a nearby picnic table. Sunday, on our drive back from Killington, we killed two birds with one stone and grabbed lunch at Long Trail Brewery. John got to taste all of the beers, (they had Citizen Cider for me! ), we had a fast and easy lunch on a deck overlooking a creek, and I streamed the Pats game on my phone - win, win, win! For our dinner Saturday night, we checked out Worthy Kitchen. The set-up is unique as you order dinner first at the counter, then they get you a table and you wait for your food to come out. The line was quite long when we got there, but we got lucky and seats at the bar opened up while we were only halfway through the line, so we got to cut everyone. The menu was unique, but tasty, and not too expensive. Definitely recommend! As a last note, we also loved Mon Vert Cafe for our daily coffee break. They put maple syrup in the lattes, so I think that tells you all you need to know! But, they do also serve breakfast and lunch if maple syrup lattes aren't enticing you. We knew we wanted to be outside as much as possible during the weekend, so our first order of business was to hike Mount Tom. It's right outside of the town and takes about 30-35 minutes each way, never getting too steep or hairy. At the top, there's an overlook of the entire village and surrounding mountains. It was a great way for us to get a lay of the land. Although I wouldn't have put this on my list, our innkeepers raved about the short film at the Marsh-Billings-Rockefeller Park. It was a 30-minute (free!) film about the history of Woodstock and the famous conservationists that called it home. I'll say I was pleasantly surprised at how well-made the film was, and it set the scene nicely for the rest of our trip, giving us a somewhat deeper understanding of the importance of the town and surrounding environment. I would definitely make this one of the first things you do! Okay, so this may make me sound like a loser, but the covered bridges were actually pretty cool. They're not something I would drive out of the way for, but we happened to find ourselves near two (the Middle Covered Bridge and Taftsville Covered Bridge) and they are quite beautiful and unique. If you're there, you may as well see one! I have a lot of favorite things about Vermont, but I think my favorite may be the country stores. They're unlike anything else and just so Vermont-y. We enjoyed poking around FH Gillingham & Sons and The South Woodstock Country Store. While you're at it, check out the Woodstock Farmer's Market for unique wares and treats or even for lunch. As I mentioned earlier, we headed up to Killington to see if the leaves would be better at the higher elevation, and they were! 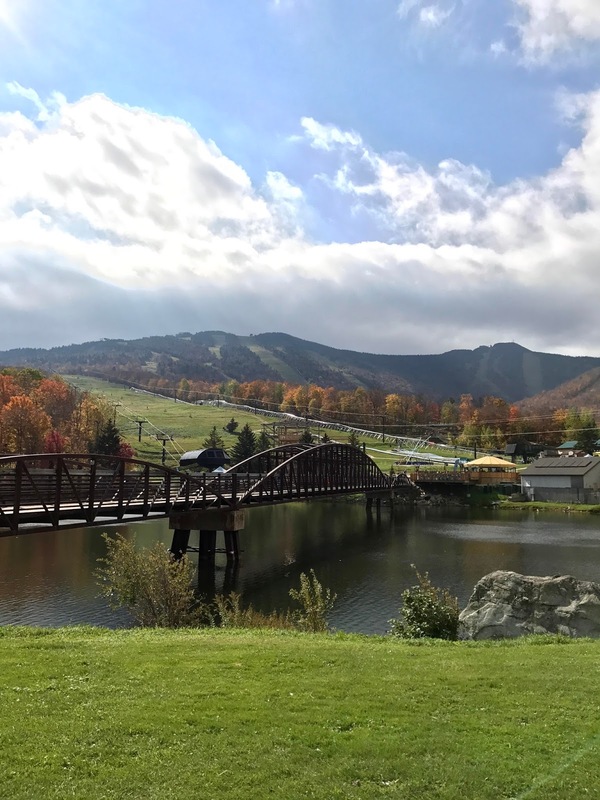 Although we didn't partake, Killington has an adventure center that is open in the fall as well as a gondola ride up the mountain. We enjoyed walking around the base of the adventure center, but other than that there wasn't too much to do. 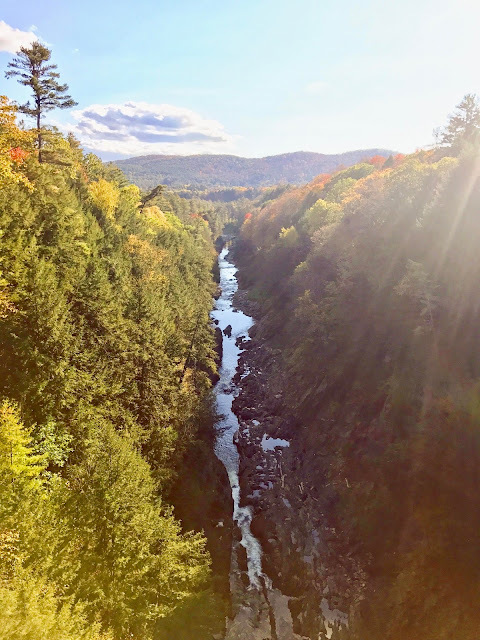 If you don't mind driving, you don't even have to take the access road up to Killington to see the leaves, you could just continue up Route 100 and stop along the road to take in the scenery. We had to check out the "Grand Canyon of the East Coast": Queechee Gorge. I haven't been to the Grand Canyon (on my list!) but I'd say that mayyyy be an exaggeration. The gorge was beautiful (and crazy high! ), though, and definitely worth a quick stop for some photos. If you're feeling adventurous, you can even hike down to the bottom of the gorge, something I would've loved to do if we had more time. Lastly, we (or at least I, haha) enjoyed walking around the little village and popping in and out of all the shops. There are plenty of home-goods stores, The Vermont Flannel Company, and interesting antique/vintage stores. I also loved walking a little bit outside of the town to ooh and aah at the adorable (and perfectly manicured) houses/landscaping. I hope this helps if you find yourself in Woodstock! Go apple picking - Read about our trip to Honey Pot Hill Orchards in Stow, MA here! 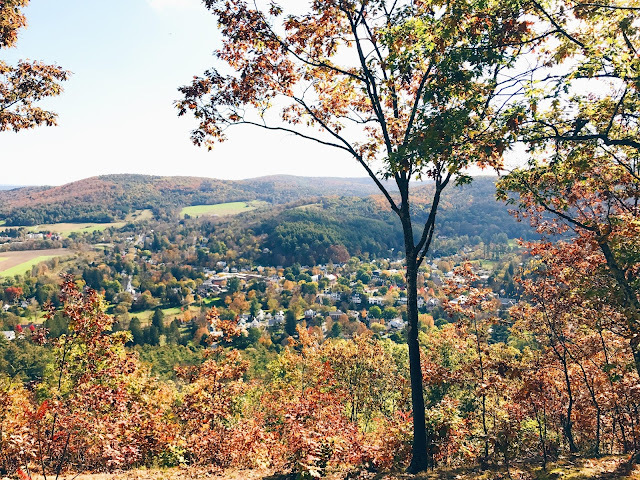 Take a leaf peeping tour - Having grown up in New England, one of my favorite things is watching the leaves change. In a few weeks, we'll be heading up to VT to take in all the beautiful fall foliage - so excited! Get lost in a corn maze - Sooo many childhood memories of corn mazes (some good, some ending in tears haha). I'm thinking of going to Connors Farm in Danvers or Hanson's Farm in Framingham. 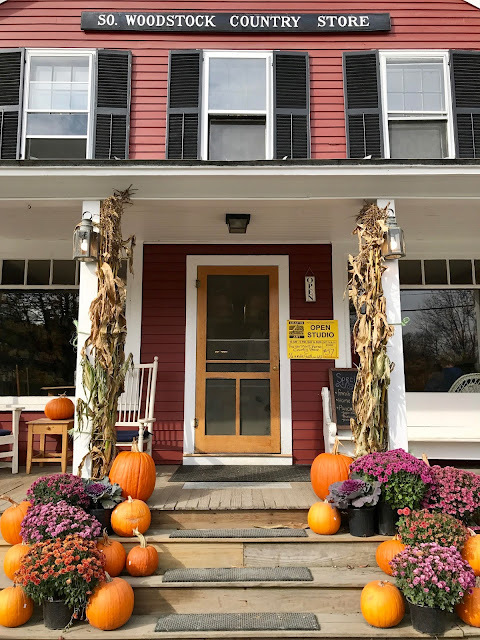 Stay in a B&B - There's nothing like home-cooked breakfast at a family-run B&B in New England. 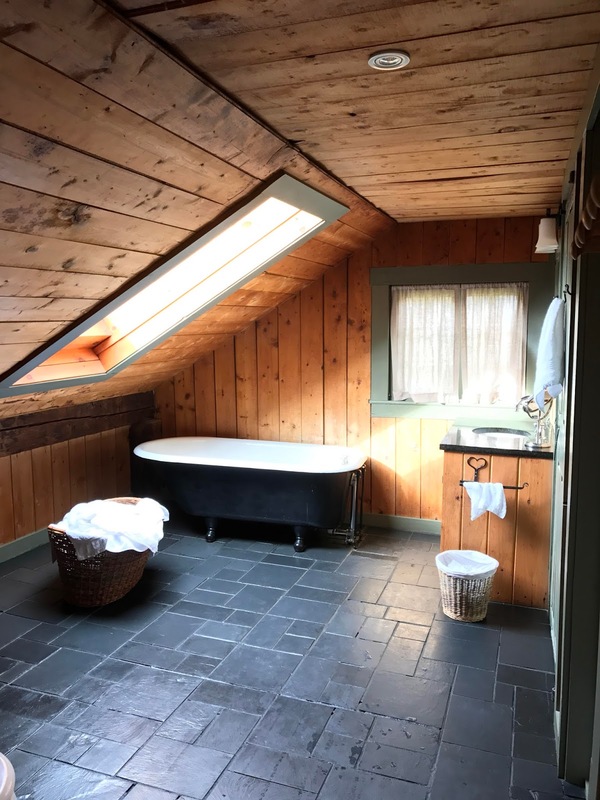 I'm looking forward to our stay at a B&B in VT.
Go for a hike - Hiking around Boston is something I keep telling myself I'm going to do...yet here I am. 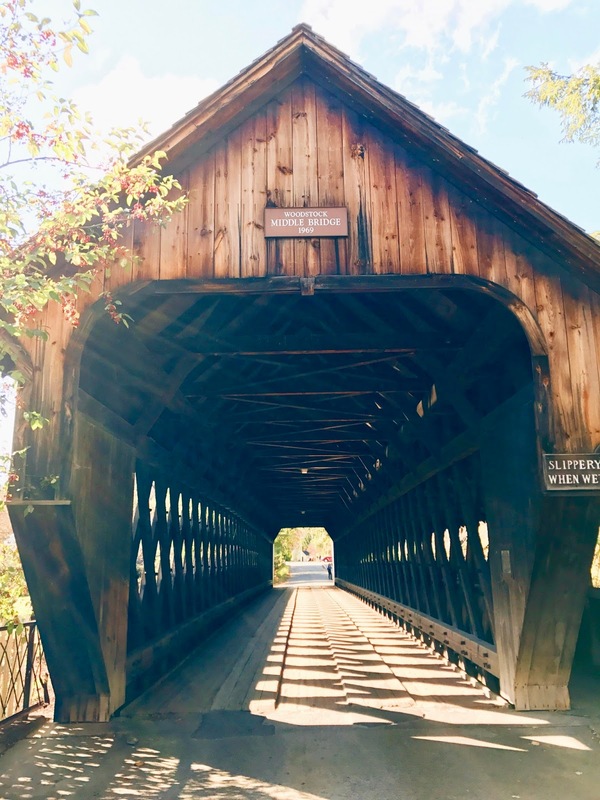 We'll definitely do some hiking in VT, but as for around Boston, I'm thinking of starting with some of the hikes listed here. Make mulled cider - Cozying up in front of the fire (read: Netflix fireplace), mulled cider in one hand, a good book in the other...the perfect fall weekend if you ask me. Explore Beacon Hill - There's something so quintessentially New England about Beacon Hill, with its narrow cobblestone streets (like this one!) and uniform brick town homes. 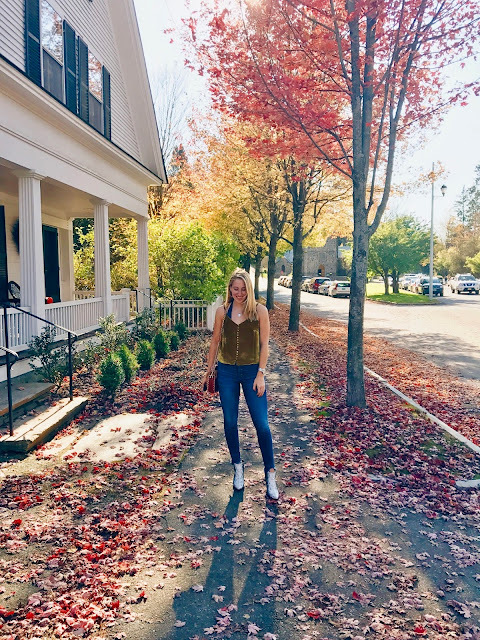 I'd love to spend a day wandering the neighborhood, ooh-ing and aah-ing over all of the fall decorations on the houses and picking out my dream home.